The equestrian sport of ‘cutting’ emerged from the open ranges of the American West. 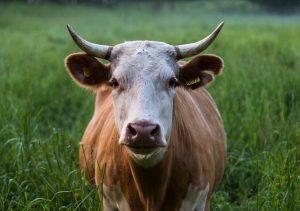 Ranchers hired cowboys to work their cattle herds, and the job included separating from a herd (‘cutting’ from the herd) cows that were in need of branding or veterinary care or that had wandered and become mingled in a herd of neighboring ranches. 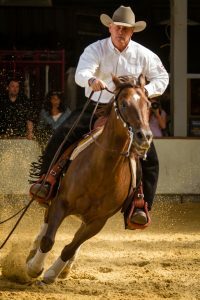 The cowboys used their best ‘cow smart’ horses for the task, a western cross-breed descendant from the horses brought to North America by Conquistadors with an instinctive ability to anticipate a cow’s movement. If you missed the live broadcast of the 2017 NCHA World Finals, you can watch a video recording of each day’s event posted on the video player below ↓ Just click/tap the “Watch Again’ button or on the video posts.